We can certainly all do our bit to help the environment and as part of our eco-friendly campaign, we’re looking to bring you all the very best companies that slot nicely in to this category. This week, we’re introducing you to a business that you’ll definitely want to know about over Christmas as, Protect the Planet specialise in recycled gifts. Protect the Planet is a company dedicated to bringing you the biggest range of environmentally friendly products and recycled gifts, so that you can live a guilt-free life. Not only offering you the products to help you do so, their website also offers guidance on how you can do your bit and how their efforts are contributing to the bigger picture. Their main focus is, of course, the environment. 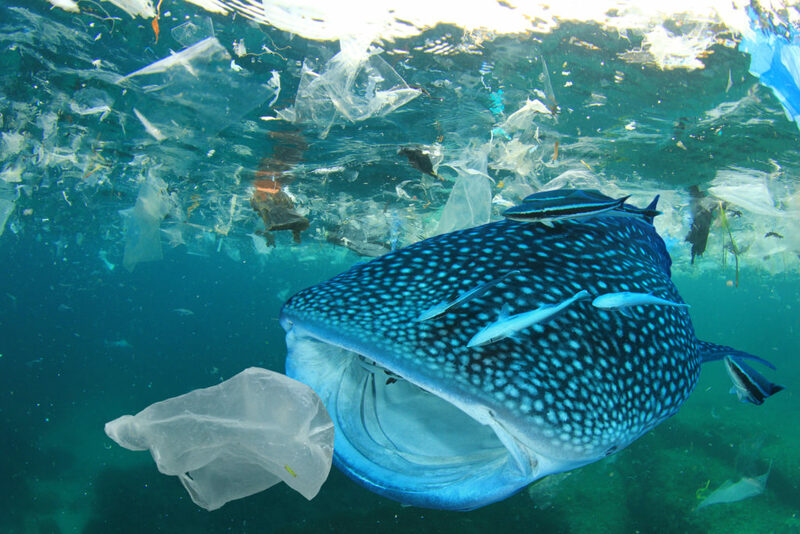 It’s at the forefront of everything they do and Protect the Planet realise how every little decision that each individual person makes has potential environmental implications. So their products fall in to 8 distinct categories, including ‘recycled’ and ‘ethically made’. If they come across a product that doesn’t fit within their categories (and therefore their ethos) then they won’t sell it. It’s as simple as that. In order to practice what they preach, they also ensure that 100% of their packaging is either recycled or recyclable and they’re dedicated to planting more trees too. But does recycled junk equate to junk gifts? Absolutely not. Protect the Planet stocks a vast range of high quality products from office supplies to homeware. They also have a whole section of recycled gifts, where vinyls have been turned in to tiered cake stands, circuit boards have been turned into cuff links and coffee cups have been turned into bread boards. The products are beautifully different and unique, ensuring that a present purchased from them will be one that no one else will have thought of! But Protect the Planet don’t plan on stopping there. They already have one of the largest ranges of eco-friendly gift & homeware online, but they plan to keep going until it’s the very largest. Once they’ve filled their current categories, they also plan to expand in to eco cleaning, organic food and even natural beauty. So keep an eye on this company as it’s only going to get better from here! And if you want to win an early Christmas present, for a loved one or for yourself, then be sure to enter our competition below to win this amazing recycled car tyre photo frame. 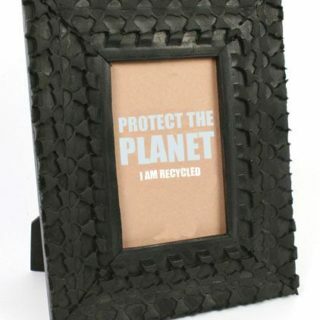 Photo frame made from recycled car tyres. Still features the original tread design of the tyre. Recycling one of the most polluting products on the earth. Fair trade from India. Handmade.